Let me be clear, the food category is a big part of the franchising industry. But what most people fail to do is investigate the other categories of franchising. Did you know you could run numerous service franchises that deliver great value and produce solid recurring revenue? Did you know you could keep your job and built a retail empire on the side? Yes you can determine your exit strategy. 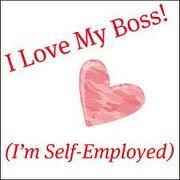 Did you know that one and eight homes in North American has a home based business? Did you know that in North America Home based businesses generate over 427 billion in revenue annually and growing? Many of these businesses are franchises. Did you know that one in two businesses that start today are Home Based and that 58% of home based businesses are run by women. You see there is a cost effective way to make money and work from home. Franchising can deliver the programs and systems to succeed at home or as creating an exit strategy from employment. If you want to get off the job cycle and take control of your future perhaps you should look at franchise business ownership from a non food perspective. Perhaps you may be able to own a business sooner then you think and have more time for the things you want to do. But these options can generally be less expensive than food and can move to profitability much quicker. Fully 85 % of the people who start a franchise business are still running them five years down the path. I am not sure you can say that about your job security. Long term a well thought out business can lead you to the returns you want. The reason this works is because the investment is in “You” in an organized business model. A wise friend of mine said, “You do not know the value of a risk until you take one.” Before you jump on the food wagon track for franchising make sure you clearly investigate the industry. It will surprise you what is out there. Franchising is the safest way to enter the business ownership and long term they are solid investments. With over the 17 years of working and placing people in franchises I have a list of why people do not buy businesses. These are why many people never proceed with the dream of owning a business. I have witnessed to many people climbing the mountain of business ownership and stopping at the top never to harvest the benefit of all the expertise they have to share and achieve the wealth and lifestyle they are capable of achieving. I hope by sharing these you will recognize when they are in your way and be able to knock them out of the way. Relatives: The family members who are meaning well who advise you not to do it. They normally do not have all the details or they are thinking only of themselves. You may educate them on your opportunity and desire or say thank you for the advice. Friends: They care, but worry about losing your friendship or your time with them. They also mean well but probably do not share your dream. Do listen to those that encourage you. Pessimists: These people are the ones who kindly advise you that you are crazy and will fail no matter what you say or do. You need to walk away from these types. You know good advice when you hear it. Society: This will not work here, or you have a greater role to play then owning a business. Some people are afraid to be successful as if financial success is a dirty word. Your ethical success is good for society no matter what it is. Guilt: You are feeling bad about using financial resources and making and investment. “How will we cope and have the money to live on?” You need to be thinking long term. Keep your eye on the prize. Over Analysing: Looking for the numbers to tell you not to do it, rather than using the numbers to show you how you can do it. Live your dream do your numbers and seek the answers but do not let perfect numbers be the only way you will start a business. Fear: I left this one to the end because it is the ultimate dream killer. You are overcome by the, “What ifs'” and you either fight or walk away. You are left wondering if you will ever have a business. Use fear to seek more knowledge look for the root cause and learn how to mitigate the problem. I will write more on this at a later date. 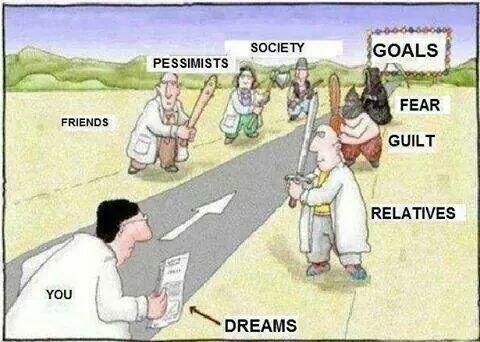 You can overcome these obstacles by recognizing them for what they are. With proper planning, focus and advice all of these roadblocks can be hurdled.